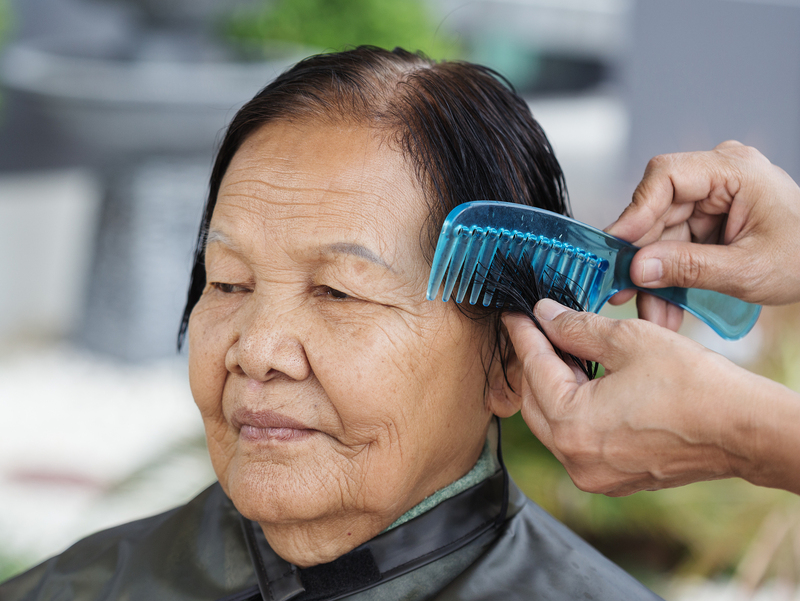 Part of the duties of taking care of your elderly loved one is helping them with grooming and hygiene. Staying clean and properly groomed is important to anyone’s health, and aging adults are no different. The problem arises when they cannot do much of the actions and activities that go into keeping clean, such as successfully washing their hair. Physical limitations that stop them from doing these routine tasks means that you’ll need to do things for them. In other cases, seniors may be embarrassed, frustrated, nervous or rebellious when it comes to keeping their hair clean. Washing hair can become a struggle for both of you. Is Washing Hair a Senior Battleground? If washing hair is hard for you and your aging relative, it’s likely due to two things: the physical activity and the mental aspect. If you can address both of them, you may find your elderly loved one is more likely to get their hair washed without a fuss. From a health standpoint, seniors don’t need to wash their hair every day. This fact alone may eliminate a lot of trouble for you. Experts say to wash an aging adult’s hair once per week usually. Their bodies don’t produce the oils it once did, leaving hair cleaner longer. Seniors may also be physically unable to do the task, such as with arthritis, post-stroke symptoms or other physical challenges. The shower or bath may scare them about falling or the whole experience is too cold, too long or too embarrassing for them. Mentally, aging adults could be stubborn about washing their hair because they are frightened or frustrated about how they are losing their independence. There may be resistance to role reversals, as with an adult child having to take care of their bodily needs. Seniors often get mad at the situation or themselves and take it out on family caregivers. In the early to middle stages of dementia, aging adults may confuse the timeline for when they last washed and fight against that. There are many things you can do to ensure the best chances of a successful hair wash. Many people hire elderly care providers to come in and attend to hygiene issues. Not only does it bring in a trained professional into the house, but seniors are more likely to be obedient to an elderly care provider than to a family member. Another tip that you can follow is to create a comfortable atmosphere for the hair washing. Set out everything you need before the aging adult even enters the bathroom, so you can be efficient and fast. Elderly care providers often do this, and will even add nice touches like soft music, warmed towels, and modesty wraps. If you are still having problems with washing hair, consult with the elderly care provider on ways to improve your aging loved one’s hair wash experience. It’s important that you do everything possible to help your elderly relative stay clean, comfortable, presentable and healthy. 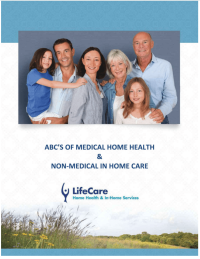 If you or an aging loved-one are considering hiring Elderly Care in Wilmette, IL, call the caring staff at LifeCare Home Health & In-Home Services. Call (888) 606-4199 LifeCare serves all of the Chicago Metro Area.